Call the company thousands of businesses and individuals have relied on for proper installation, value, and service when they needed a new roof. 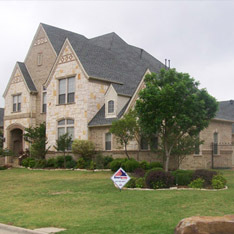 Ameripride Roofing is an established, professional commercial and residential roofing contractor located in Fort Worth, Texas. We are a full service national roofing company that continually looks for ways to improve quality and value to the services and products we provide. Our expertise and commitment to excellence has given us the opportunity to experience continued growth. We guarantee your satisfaction and pledge to provide you with the best service at the lowest possible cost. And we know what it takes to keep the roof over your head, be it residential or commercial. Ameripride Roofing is a nation-wide roofing company that specializes in residential & commercial roofing and roof repairs.